One curiosity of moving deeper into adulthood has been discovering what works remain interesting, and what things fade. It feels natural enough, in some sense, that enthusiasms of adolescence and earlier may eventually be “outgrown.” But a variety of things that delighted me into my mid-20s have lost their charm, even though I don’t feel as though I’m categorically more of an adult now than I was, then. At the same time what’s left behind as still appealing, in my mid-30s, can be at least as baffling as the attrition around it. I was reminded of this dynamic once more by the juxtaposition of two stories at The Outhouse. (A news-and-satire site arguably informed by a similar tension of nostalgia and “oh, wow, this is really bad” in everything it publishes.) While neither project is new, within two days I was informed that Kevin Smith is planning Mallrats 2, and reminded that Marvel has two films queued up with the title of Infinity War. Boy, if you were intentionally trying to pair up two things that I gleefully, even obsessively loved for years and now just… don’t… I doubt you could do better than Mallrats and The Infinity War. Despite which, it has occurred to me that even amid the bleak, blasted-out post-enthusiastic landscape of The Infinity War, there is yet another survivor: after most of 20 years, I still think rather highly of certain antecedent stories of IW star Adam Warlock. Not The Infinity War, itself, honestly. Most of what fondness I still feel toward this story isn’t even so much nostalgia, I think, as gratitude for how happy this made me for sooo long. Same thing with Mallrats; while it’s very possible I may never watch it again, and difficult to say for sure why I ever liked it so much, it’s even harder for me to say anything bad about it. I can’t find anything seriously offensive or wrong in it, and short of that, anything which made someone that happy for years should be congratulated. 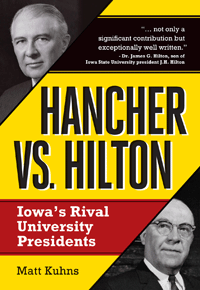 I’m very glad that both of these things existed, and wouldn’t change a thing about them. With The Infinity War, it’s by contrast still rather easy to see what I liked, also. Part was, I’m sure, simply the fact that it was just about my first big crossover event. I started paying attention to the Marvel superheroes right as the precursor Infinity Gauntlet series was in progress. The Secret Wars, Atlantis Attacks, Fall of the Mutants, Inferno, et al. were already in back-issue bins waiting for me to discover them; The Infinity Crusade, Age of Apocalypse, not to mention the past decade’s perma-event were all yet to happen. So this was fairly new for me, and particularly exciting because I was not only a nascent comics nerd, but (I have realized in recent years) also a cataloging nerd. 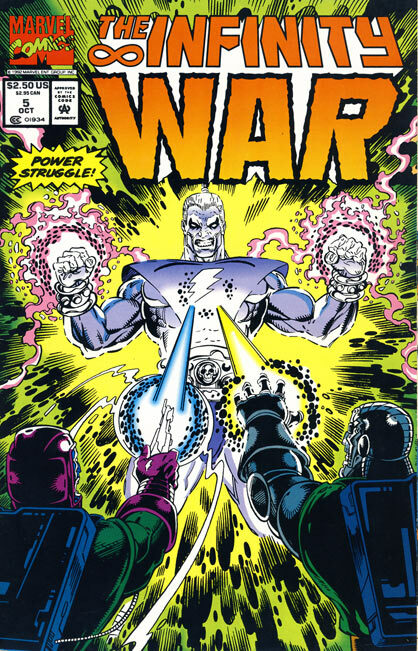 The Infinity War was structured in such a way that the six-issue miniseries covered the core story, but there were dozens of crossover issues that overlapped. Piecing together how was fascinating by itself, at least if you’re the kind of person who would spend much of the 1990s building chronological appearance listings for a handful of Marvel characters. I was! Add to this all the cool stuff in this particular crossover event. Ron Lim was the artist; I still love his tidy Saturday Morning Cartoon style. The Fantastic Four, my favorite characters at the time, were front and center, unlike in The Infinity Gauntlet. Mr. Fantastic was mostly left out, true, but the major subplot with Doctor Doom and his future counterpart Kang more than made up for this! I still remember my acquisition of issue five (pictured above), in which this subplot reached its climax, as just absolutely absorbing. “OMFG.” Also: evil twins! With keen variant costume designs! Plus occasional quotes from Neitzsche, and other dark metaphysical mumbo jumbo that was honestly rather shallow but quite deep and spooky to 14-year-old self. 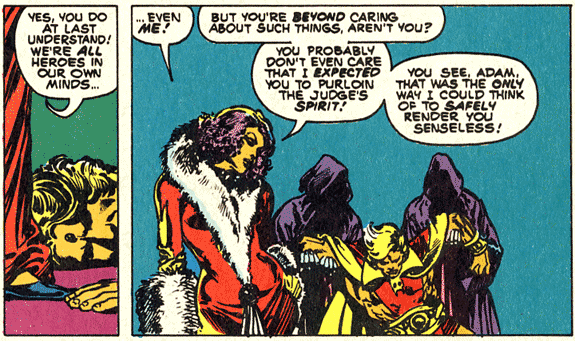 Not wholly unrelated to this last item, Adam Warlock was there, too. In retrospect I think association with The Infinity War did more to endear me to Warlock than the other way around, initially, but I developed quite a liking for the character. As years passed, this just made The Infinity War all the more awesome. Then, gradually, the awesome just wore off somehow. The details of its appeal, above, provide most of the explanation for that appeal’s fading. The novelty of Marvel events and crossovers wore off, and so did my interest. I gradually realized that the deep, dark Infinity War is actually an adequately choreographed exercise in empty noise. It probably took fifteen years before I noticed that in this and all of the Infinity crossovers, Earth’s superheroes play absolutely no role except decorative pawns; once I did notice, however, I suppose I felt a little bit chagrined. 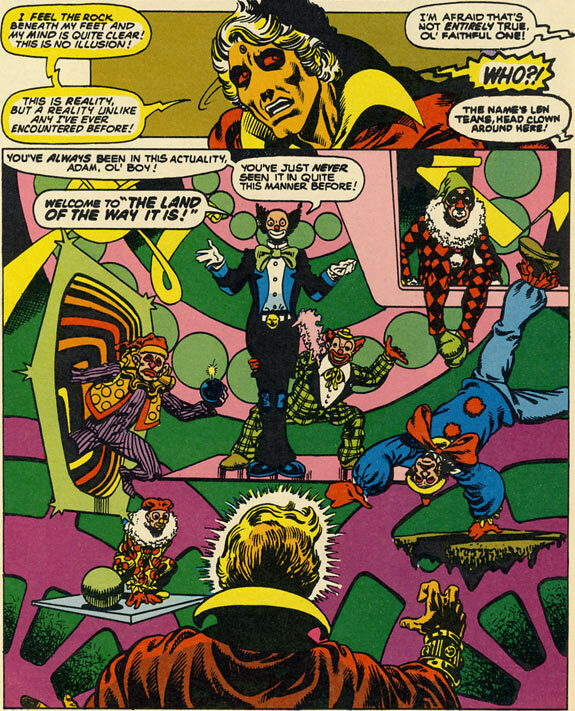 There’s an art to that kind of trickery, and I respect Jim Starlin’s craft, but with time I realized that Starlin has not really had much else to offer throughout most of his career. Yet those pages and pages and pages of pseudo-cosmic journeyman writing had, I think, a few moments of brilliance all the same, and it’s probably because of The Infinity War that I discovered them. Thanks to The Infinity War and Starlin’s other 1990s Warlock dramas, I tracked down his brief, first outing with the character from the mid-70s. These stories, I am mildly surprised to notice, have not faded for me. This is interesting to me for a number of reasons. At first consideration, it feels easy to regard this and Starlin’s earlier run on Captain Marvel (all of which forms a single, if loose, cosmic story arc) as a one-hit wonder, whose creator spent his inspiration and thereafter produced mainly lesser reworkings of the same ideas. I think there’s a good deal of validity to that, too. Yet it strikes me that I do not always prefer the earlier, “pure” vision to derivative work. Notably, I prefer Mamoru Oshii’s Ghost in the Shell film adaptation to the original manga, and for that matter prefer Oshii’s stylized, indulgent sequel Innocence to the earlier film. I could offer other examples, too, I think. 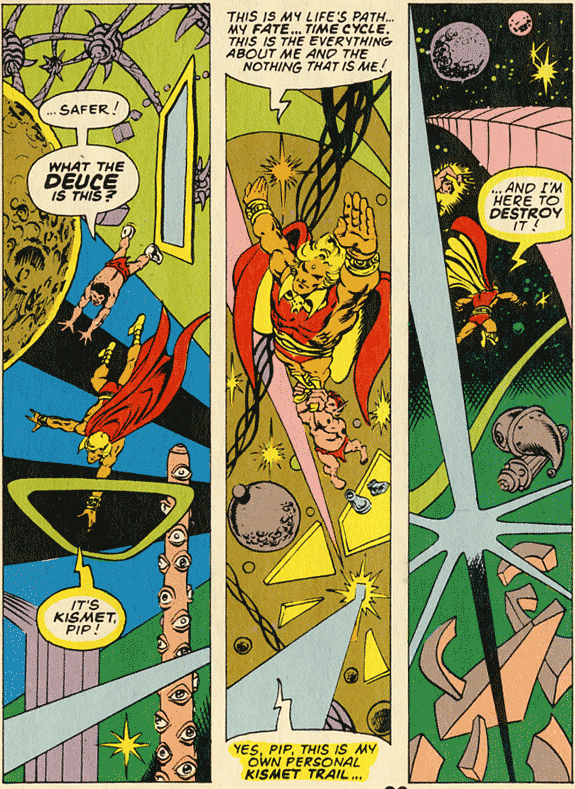 With Warlock, however, no contest: the 1970s story arc was probably the best work of Starlin’s career, safely the best moment in Adam Warlock’s four-decade history, and remains interesting and satisfying to me years after The Infinity War-era stories lost their magic. It was not always thus. The lack of any really vivid memory (like that left by The Infinity War issue #5), alone, supports my hunch that when I first read the 70s stories I found them neat, but nothing like so awesome as IW. I imagine that the reasons are closely related to the reasons why my opinion of each has shifted in opposing directions. What we might call “The Infinity Effect” storyline, after one of the individual chapters, is decidedly less of a mass-market work than The Infinity War. Arguably the former could qualify for my minor project to examine cool but obscure comics. It has been reprinted two or three times, at least, but I don’t think it ever gained great “mainstream” recognition among comics fans. It was certainly about as fringe as Marvel comics got when it was first published, in more ways than one. Marvel pulled the plug with the larger epic unfinished, and Starlin had to work the conclusion into annuals of two other series. The content was also, I think, fairly out there even for the company that gave us Dr. Strange… and as much as anything, it impresses me that it still feels so fresh and daring after all that I’ve seen and read and discovered since. To some extent, I think, the purity and freshness of the ideas compared with all that came after certainly helps. But only so far. Starlin didn’t invent Adam Warlock. Notably, while his later stories made much of the pre-Starlin character’s naive optimism, I’ve read enough of the earlier Warlock to know that in fact the character was already rather brooding; Starlin wasn’t even first to apply a dark Christ metaphor to the character. More than originality, I think that Starlin’s work in “The Infinity Effect” had a passion and power that was absent from earlier Warlock stories and most subsequent Starlin stories. Somehow there’s more conviction in one issue of “The Infinity Effect” than in the entire Infinity War. The art probably helps; as much as I like Ron Lim his style is not suited to gripping drama, while Starlin’s drawing was possibly at its most epic, here. The story was much more focused, rather than trying to fit in lots of guest stars with no real relevance. It was also a finite story with a reasonably compelling end—Warlock dies—and somehow even though he had done it before it seems to have a punch, here. Maybe in part because, in a meta-textual sense, this death “stuck” at least for as long as any comic book character’s does. Also, the death and its rather bitter circumstances are revealed ahead of time and loom over the character thereafter. There’s a liveliness in this combination of aggressive goofiness with dark drama. As a teenager, it probably put me off a bit really, compared with the scrubbed and sanitized Infinity War. Perhaps now, having lived more, it’s the other way around. Instead, when Warlock arrives at this cosmic crossroads and ends up racing down the shortest path (which obviously means the earliest death) just because he has no time left on a different, more immediate, clock… there’s something of an actual life involved rather than a wind-up toy. And this wild, wooly cosmic scribbling has a grip on me that The Infinity War seems to have lost. This post is already hella long, but for that reason I suppose I’ll make one more note on the fuller and more mature life in “The Infinity Effect.” The character of The Matriarch also adds a dimension absent from so much else in the Warlock/Starlin world. Not least for the simple fact of being someone other than Warlock, some alternate self of Warlock, or Thanos. Significantly, moreover, she is also a woman with a capacity for independent thought and action. I would have a tough time blaming her, now. “The Infinity Effect” captured lightning in a bottle, and that’s tough to do twice, let alone six or seven times. Really, it’s kind of a tribute to Starlin that his many sequels were as wicked awesome as they were for so long. Sure, I was an adolescent when the awesome was most effective, but so what? Those years of my life were real; the euphoria I experienced from The Infinity War—and, a bit later, from Mallrats—was real. I’m glad of it, and while I wouldn’t necessarily trade myself now for that earlier self, I feel no need to deny his existence. The Infinity War was good, for me. Its magic has largely worn off, but… I remember it, and it led me to one or two other things which have not only remained good but (to date) actually become better with the passing years. I can’t actually recommend The Infinity War to anyone besides my 14-year-old self. I can recommend “The Infinity Effect” as some good stuff which may not be for everyone but, so far as I can tell, does have some genuine depth and power.